How do you get the most from your marketing team? The most productivity. The most team satisfaction. The most success overall, however you choose to define it. That’s all anyone managing a team wants, right? The answer starts with planning an effective performance management process. One that identifies your team’s goals, puts a plan in place to achieve them, and measures the results for future improvement. Putting that kind of plan into place isn’t a simple task. But, with this straightforward guide, you can put yourself and your team on the right path to be more productive. Now, this is a broad topic with lots of moving parts. In order to keep it digestible, practical, and actionable, this post will narrow down the steps you need to take to put an actual process into practice, without diving too deep into more theoretical aspects of management. It’s easier to follow processes when you can break them down into a checklist. In fact, that’s something research supports. So, make implementing this process easier with a simple performance management checklist. When it comes time to evaluate marketing talent on your team, it’ll make it easier to know exactly what to look for, which questions to ask, and what to do next. What Does “Performance Management” Mean in Plain Language? Performance management is the intentional practice of ensuring every member of your marketing team meets individualized goals through thorough planning, monitoring, and commitment to continuous improvement. That’s it in as succinct terms as possible. Planning: Setting goals, expectations, and a strategy moving forward. Execution: Acting to implement that strategy to meet desired goals up to expectations. Review: Periodically assessing progress toward goals and steps for improvement. 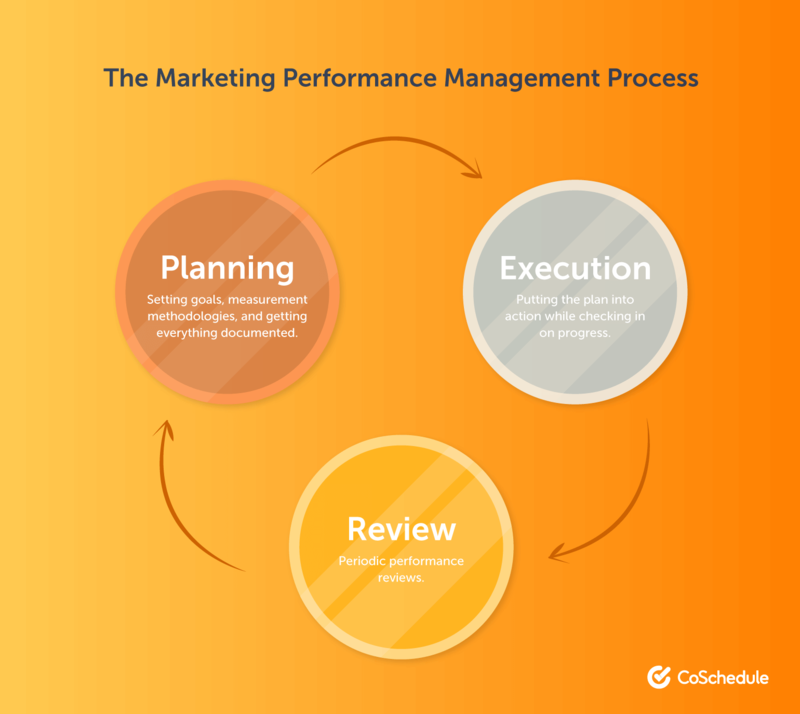 Which Performance Management Tools Do Marketing Teams Need? CoSchedule: An all-in-one marketing management platform for keeping teams and projects organized. Use Team Tab to manage team performance, and Team Performance Reports to objectively measure real productivity. Excel: Much of what marketing teams would typically use Excel for team planning-wise can be achieved with CoSchedule. However, this remains a staple option that’s essentially free (in that it’s a paid product, but your company is probably already paying for it). Evernote: Useful for building checklists and storing documentation. Integrates seamlessly with CoSchedule. Everything starts with setting the right goals. At a high level, it should achieve (at least) the following three things. Ultimately, this is what it’s all about: getting the most from your team. Everyone has both, and it’s important to understand where every team members lies in each area. No one can improve without knowing where to focus their efforts. When constructive feedback is communicated clearly, you can set expectations on how things need to change before the next time you meet to talk about goals. It’s important to be transparent when communicating areas that need improvement. But, it’s also important to appreciate successes and make sure team members know when they’re doing well. That helps build positive momentum that leads to further success. Excellence doesn’t happen by accident, it happens by choice, and it starts with solid planning. This post will cover managing your team using CoSchedule. If you’re not a customer, consider starting a trial or scheduling a demo. Otherwise, you may need to substitute in other software to complete some of the following steps. Next, add each team member into CoSchedule. This is easy to do quickly. Now, there are some things that need to be made clear between management, HR, department leads, and team members. Each team member’s purpose. What is their actual role and value to your marketing team? This has likely been summarized in your job descriptions, but if they’re out of date or the team member has outgrown that definition, it may be time for a role switch or promotion. Responsibilities and priorities. What are the most important things this employee needs to get done? Performance expectations. In order to keep your team on track to meet its goals, what results does each team member need to produce? Set up a meeting with each team member to figure out where they’d like to go in the future (and to set performance goals accordingly). 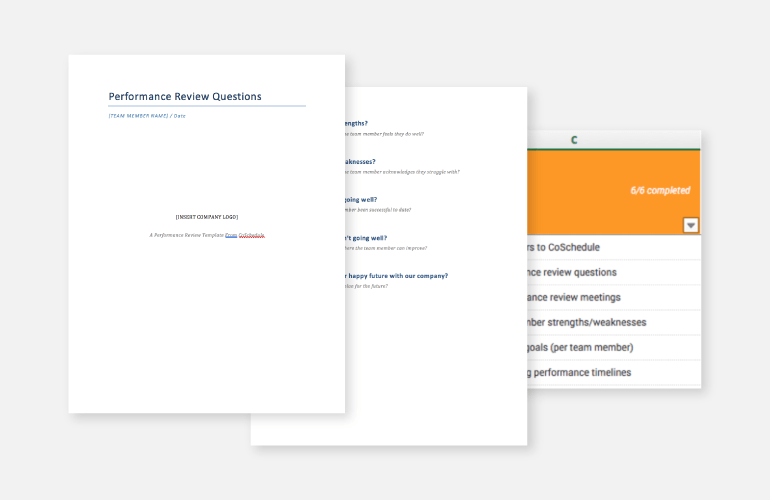 Questions to ask during every marketing performance review. What have we accomplished already? This could mean what the company, team, or individual has achieved. What do we need to accomplish in the future? Doing what’s worked before will ensure you keep repeating the same results. In order to grow, you need to challenge the team. How might we realize those achievements? So, spend some time researching and brainstorming strategies and tactics you can execute to improve results. By the end, you should have a clear picture of what the team member has already achieved, what they need to achieve in the future, and how they plan to get there. To make that future happen, set goals for your team. Everyone works differently, has different strengths and weaknesses, and fulfills different roles for your company. So, why would everyone’s goals be one and the same? Everyone on the team should have their own goals their progress should be measured against. Specific: Vague goals will deliver unsatisfying results. Measurable: If you can’t measure it, you didn’t really do anything. Attainable: Goals should be challenging, but they shouldn’t set up anyone to fail. Production goals: How much should each team member produce? Results-driven goals: What actual outcomes should the employee be impacting? Personal milestones: Are there certain things the employee would like to learn or achieve within a given amount of time? Once your performance management plan is in place, it’s time to put it into action. It’s important to remember this is an ongoing process and not a one-and-done deal meant to check off a box on a list of requirements somewhere. At least not if you want the plan to work as designed. Sometimes, if things aren’t scheduled regularly, they get put on the back burner. And sometimes, they stay back there so long, they never actually happen. Don’t let checking in with your team be something that gets forgotten. Otherwise, they just might forget you and your company too, and move on to somewhere they’re more valued. So, even if you talk with your team regularly and communicate well, setting aside time to talk about performance and progress toward personal and professional goals specifically is a good idea. That way, you make sure their development isn’t left to chance. In addition to ongoing communication, you’re probably doing formal performance reviews, too. They don’t need to be overly complicated, either. In fact, introducing unnecessary complexity might just make the whole process less effective, while creating more work. What’s going well? What are things that have been successful for the employee, the team, and the company? What’s not going so well? And are there any specific ways to improve? What needs to happen to ensure a happy future? Keep notes throughout your meeting and store them somewhere they won’t get lost. Two options are Evernote or a purpose-built HR platform like Kin HR or People HR. How do you know your performance management process is actually effective? By measuring your results and acting on that data to improve it. How often will you report on overall productivity? Consider weekly or monthly schedules to ensure the team is accomplishing all of its tasks. 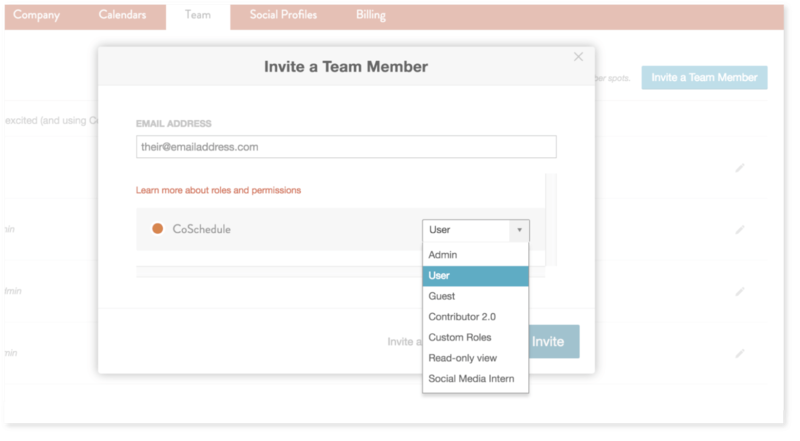 Each time you create a project in CoSchedule, assign tasks to each team member. To expedite assigning tasks, create Task Templates (which make each task checklist reusable and repeatable to build positive productivity habits easily). Percentage of projects completed on time. Percentage of projects completed late. This provides a clear picture of who’s getting their work done and who might be struggling. The key to making the previous step work is managing all your marketing campaigns and projects in CoSchedule so you can effectively structure workflows, measure performance, and more.